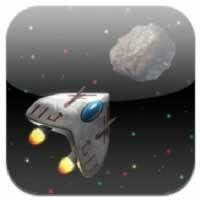 If you like space games, Teragati might deserve a spot in your iPhone or iPad. This fun game puts you in control of a spaceship that has to avoid or steer clear from various space junk hurling its way. It’s a fun game that will definitely become an instant favorite on your iOS device. Teragati was created by Attachment Computing and made available on the App Store for free. It features wonderful graphics, as well as a highly addictive gameplay. Teragati allows you to take full advantage of the iPad or iPhone’s gyroscope as you use it to tilt the ship or maneuver it around the many debris floating in space. There are certain things you need to obtain though to help you out. However, much of the time, you’ll need to keep your distance from objects like asteroids, otherwise you’ll explode upon impact. Graphics for the game are excellent. There’s a great retro feel to it, much like those classic Atari games. Even the soundtrack is a bit of a throwback to the 80s video game era. Controls are very responsive. Although don’t expect to master it right away. Even though it’s easy to learn, you’ll definitely have a hard time getting it right. Quick startup time to jump right into the action when you have a few minutes to kill! Easy one-handed play. Convenient when wolfing down a burrito at lunch time. State-of-the-art Tesla-coil shield technology safely bounces you off even the hardest rocks. Fast-paced soundtrack by underground Finnish artist Outgate, a.k.a. Jani Rantanen. Adjust sound settings in iPhone Settings. The game is a must-try especially if you want something that you can easily whip and play on your spare time. It’s fun, addictive and certainly entertaining.